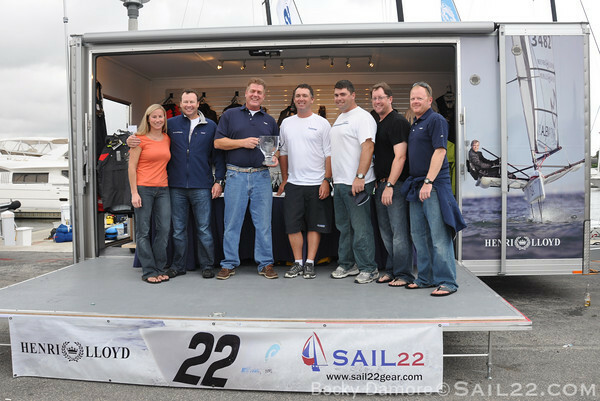 Rod Jabin's Ramrod with Gavin Brady as tactician and crew of Mike Beasley, Joe Gibson, Ray Wulff, Ted Kaczmarski, Kate Torgerson won the Melges 32 Gold Cup 2009. This is the team's first one-design regatta after Rod took delivery of his new boat in June. The team is all made up of local sailors from Annapolis, Maryland. Much of the team comes from Rod's Farr 40 Ramrod team and they are all having a blast figuring out the Melges 32. Joe Wood's Red from Torquay, UK was a very close second overall and Andy Lovell's New Orleans based Rougarou was third. John Taylor's Ninkasi was one point behind Rougarou and Kip Meadow's RoXanne finished fifth overall. The final day of racing started with a light first race, which quickly shifted at the first leeward mark rounding and the breeze built to 15-20 knots. The breeze stayed up through the next two races of the day. Dalton DeVoss's Delta won the first race of the day, RoXanne won the second race and Jeff Ecklund's Star scored the third race of the day. Our entire photo gallery can be seen on Sail22Photography.com. 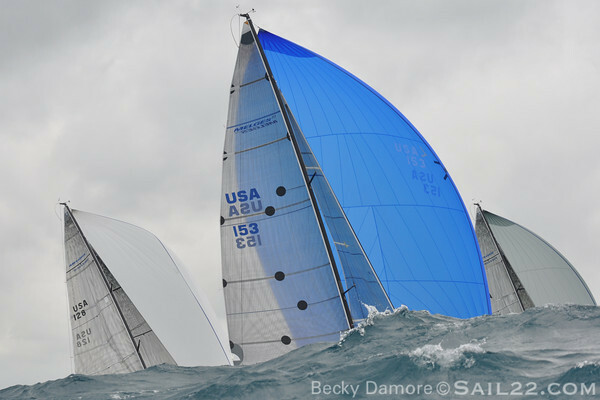 Full results are posted on YachtScoring.com and full press releases from the class can be viewed on the Melges 32 Class website.